Having worked directly for major companies in the world-famous Garment District and Fashion Center in Manhattan, 212 Tax has a privileged view of how importers, wholesalers and distributors work. From clothing and fashion to home furnishings and decor, we have a deep understanding of what goes into importing and distributing goods through New York City and beyond. We have expert CPAs to help you with bookkeeping, tax returns, tax preparation, payroll and all of your financial questions. If you are considering getting into the business we can help you assess your options, construct a solid tax strategy and even handle incorporations or the setting up of LLCs. With 212 Tax on your team you’ll be well on your way to maximizing your profitability while also decreasing your tax liability. When it comes to nuanced industry-specific accounting questions and services, we’ve got you covered. We’re able to increase operating efficiency, improve cost containment strategies and maximize the collection of receivables for our customers through billing support, fee schedule negotiations with payers, developing financial controls, management reporting, and operational policy reviews. Many of our clients have instituted more accurate financial reporting and begun successfully monitoring their overhead with the help of 212 Tax. 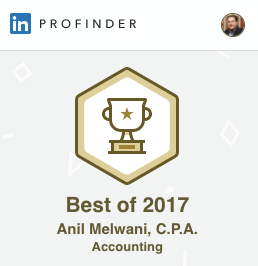 Call or e-mail us today to schedule your free consultation with Anil Melwani, CPA.